Kurt Busch started 11th and finished eighth to collect three bonus points. The No. 41 Haas Automation/Monster Energy Ford Fusion was loose early on. On lap 52, Busch pitted for four tires, fuel and a tire pressure adjustment. Started sixth, finished seventh to collect four bonus points. Started eighth and finished 11th. Busch pitted on lap 265 for four tires, fuel and a wedge adjustment. After a quick caution, Busch pitted on lap 130 for four tires and fuel, running in 11th. 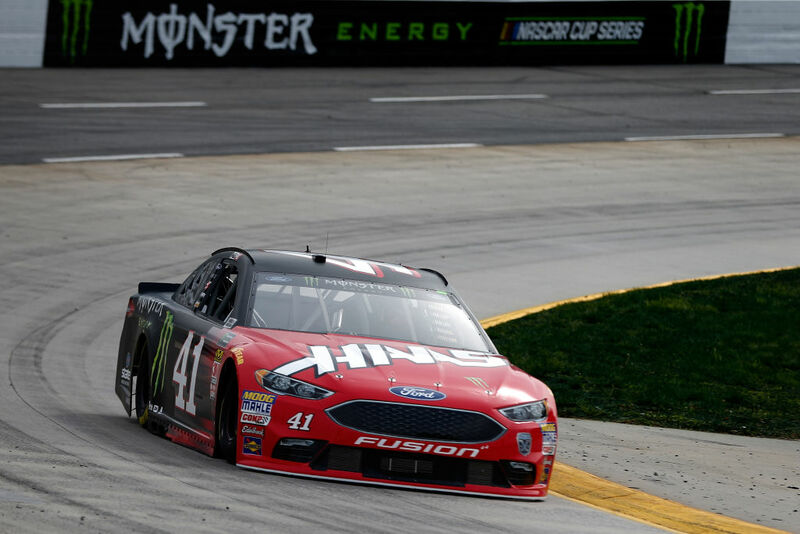 Still trying to find a little rear grip as the race came to a close, Busch managed to secure a solid 11th-place finish while teammate Bowyer crossed the finish line first to score the win for Stewart-Haas Racing (SHR). This was Busch’s fourth top-15 of 2018. Busch finished eighth in Stage 1 to collect three bonus points and seventh in Stage 2 to earn four additional bonus points. Bowyer’s victory in the Martinsville 500 marked the 47th overall win for SHR. It was the organization’s 43rd points-paying Monster Energy NASCAR Cup Series win and its fourth at Martinsville. This was SHR’s seventh Cup Series victory with Ford. The team won its first race with Ford when Busch captured the 2017 Daytona 500. It was SHR’s fourth victory in the first six races of 2018, as Harvick scored back-to-back-to-back wins at the second, third and fourth events of the season at Atlanta Motor Speedway, Las Vegas Motor Speedway and ISM Raceway near Phoenix. This was the second time in five races that all four SHR cars finished in the top-14. The next event on the Monster Energy NASCAR Cup Series schedule is the O’Reilly Auto Parts 500 on Sunday, April 8 at Texas Motor Speedway in Fort Worth. The race starts at 2 p.m. EDT with live coverage provided by FS1.